Glorious beaches, world-class nightlife and unending shopping opportunities are just a few of the things that Miami, Florida is known for. 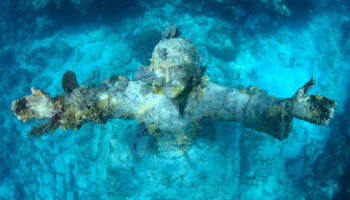 Visiting Miami is more than just visiting a single city. It is a chance to explore several unique neighborhoods, each with a distinct style, culture and architecture. 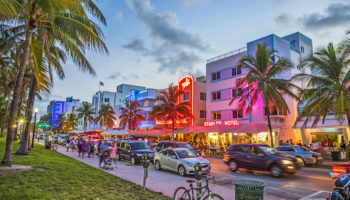 From the Art Deco buildings on Miami Beach to the colorful homes in Little Havana, there is an incredible array of tourist attractions in Miami for you to admire and enjoy. In the Coral Gables area of Miami, you’ll find the Fairchild Tropical Botanic Garden. 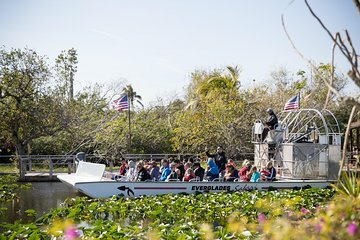 Surrounded by the Matheson Hammock Park, the botanic garden is a fantastic place to explore on a sunny day. In the Wings of the Tropics Conservatory, you can spot thousands of exotic and rare butterflies as well as rare tropical fish and unusual plants. Then, in the Edible Garden, you can learn about how to create your own garden at home to reap the benefits of fresh herbs, fruits, vegetables and even edible flowers. Reflect on a wonderful, memorable day at the scenic and tranquil Moos Sunken Garden. Bayfront Park is a green urban park right in the very center of Downtown Miami. It borders the waters of Biscayne Bay, meaning that you can set off on an unbelievably scenic walk right by the blue waters. Bayfront Park is also home to a range of events and performances. You might be lucky enough to catch a major concert one evening, or you could take a yoga class in this gorgeous spot. If you’re eager to try something new, Bayfront Park is home to a flying trapeze school, which means that you can quite literally learn the ropes with an unparalleled view! 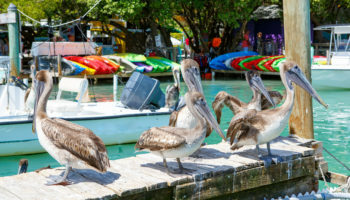 In northern part of Key Biscayne is Crandon Park, a stunning beach park that really offers something for everyone. 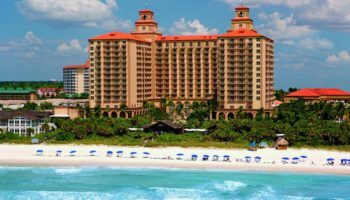 As the name implies, there is a gorgeous two-mile beach that is widely considered one of the best beaches in Florida. Beyond that, you can explore a wide range of ecosystems in the region. 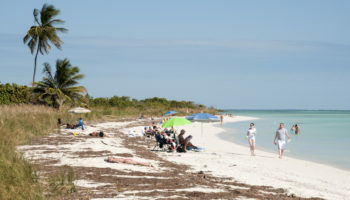 Entirely within Crandon Park, it is possible to hike through sandy dunes, navigate around the roots of mangroves and see the surf crash into the offshore sandbar. 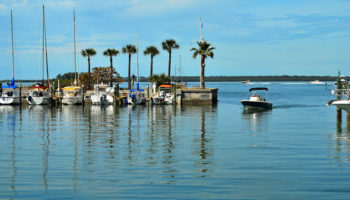 To top it all off, there are tennis facilities, a golf course and even a large marina where visiting boats are welcomed. The Vizcaya Museum and Gardens, also known as Villa Vizcaya, looks as if it could have been transported straight from Europe. Although it sits right on the shores of Biscayne Bay, the main home was built in the 1920s in the Italian Renaissance style. The main building was once a private estate, but today is houses the museum, which boasts more than 70 rooms of European art and antiques. Just as appealing is what you can find outside, where the lavish and extensive gardens are located. Beautiful manicured flower beds, shrubs and shade trees dot the property, making it a popular place for events and weddings. In the heart of Miami’s famous South Beach is Lummus Park Beach, an urban park in the middle of all the action. Right on the Atlantic Ocean, Lummus Park Beach is an iconic spot that has been featured in countless films, television shows and music videos. There’s a paved pathway that runs alongside the beach, but you can also walk right across the sand and dive into the cool waters of the Atlantic. Lummus Park Beach is the ideal place to start or end a walking tour of the top attractions in Miami, and it is just steps from wonderful bars, restaurants, shops and even Art Deco architecture. If you can’t get to Cuba, the next best place to experience Cuban cuisine, heritage, music and culture is in Little Havana. The highlight of this Miami attraction is the main drag through the district, called Calle Ocho or 8th Street. You’ll exclusively hear Spanish being spoken, and the surrounding shops on either side of the street sell Cuban favorites. On the street is Tower Theater, an Art Deco structure that still shows movies subtitled in Spanish. Stop in at Azucar Ice Cream Company to get Cuban-inspired sweet treats like a guava sorbet. The Miami Beach Boardwalk is perhaps the best way to walk along the coast of Miami Beach. 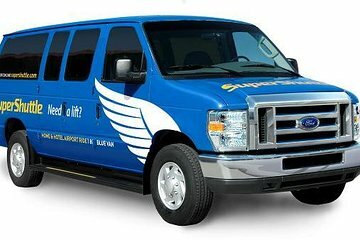 It stretches for over three miles, and it never veers far from the coast and Miami’s most stunning beaches. The Miami Beach Boardwalk begins at Indian Beach Park in Mid-Beach Miami, and it heads south all the way to the heart of South Beach. Eventually, the boardwalk turns to a paved walkway, but it never stops being lively, vibrant and scenic. Head there in the early morning to beat the heat and join the countless runners and cyclists starting their day with some exercise. If you’re a fan of art, then you won’t want to miss the incredible Wynwood Walls. This enormous outdoor exhibition is a collection of street art. More than 50 artists have been involved in the exhibit, and they come from Miami as well as from around the world. You can walk to the six main buildings, each of which transformed from a warehouse to a canvas and then to a work of art. The murals change frequently, and the whole area is pedestrian friendly. Although you can get a view from your car, your own two feet will be the best way to experience the colors and skill of this unique art form. In the 1930s, Miami Beach grew significantly. As a result, the city boasts a staggering amount of Art Deco architecture. Since the area is known for it, existing buildings are protected and preserved, and many of the interiors reflect their historic origins. There are more than 800 examples of Art Deco architecture in South Beach alone, so that’s the best place for a walking tour. Although guided tours are available, you can also set off on your own and look for iconic landmarks like the Plymouth or the McAlpin. Be sure to check out the Bass Museum, which offers both an impressive collection of early 20th century pieces and an impressive Art Deco exterior. Through Southern Florida, there is a major road known as the A1A. 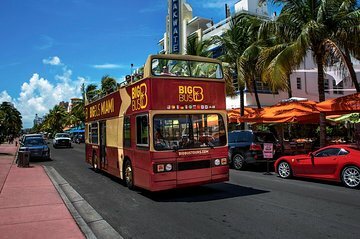 When it passes through much of Miami, it is known as Ocean Drive, and it turns into Collins Avenue as you head toward Miami Beach. 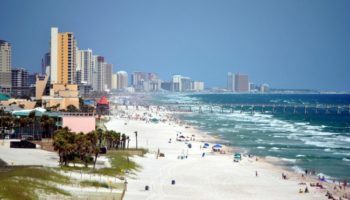 Be prepared for thousands of people in their best swimsuits, a plethora of nightlife options, access to white sand beaches and plenty of roller skating on the paved sidewalk just next to the road. 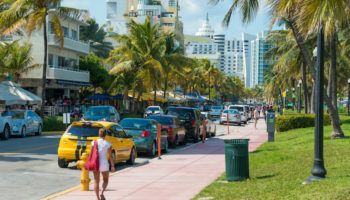 Ocean Drive is lined with trees, which means that you can stroll back and forth, sightseeing and people-watching the whole way, and still take advantage of the shade on a hot Miami day.